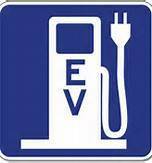 GOTHENBURG, Sweden--September 9, 2013: Upcoming legislations in USA, EU and Japan will require that all electric vehicles emit an alert sound at lower speeds. The background is an increasing number of accidents where pedestrians are hit by silent electric vehicles. Another reason for EV manufacturers to install electronic engine sound is that many drivers actually appreciate the exciting sound of a powerful combustion engine when driving. Swedish company SoundRacer will demonstrate their new, advanced EV electronic engine sound products at the IFA 2013 trade show in Berlin, Germany. The SoundRacer technology is developed to give a realistic sound impression indicating if the vehicle is idling, accelerating, decelerating or cruising. The different sound characters and sound volume is determined from information about the actual speed of the vehicle. Kenneth Palmestål: " SoundRacer is to our knowledge the only developer of EValert sound systems that use real engine sounds. After studying several reports we are convinced that real engine sounds will be less disturbing and have better alerting effect than other sounds. We targets two different applications with the products: 1. Acoustic Vehicle Alerting System, AVAS, to make electric vehicles meet coming legislations, and 2. Increased driving experience to make electric vehicles more popular among customer groups that appreciate real engine sounds. And our new version lets the driver select a new engine sound in a few seconds, drive to the sound of a Ferrari V12 and then change to a Mustang V8 with the press of a button"
SoundRacer AB is a world leading manufacturer of electronic engine sound devices. With 100 000 units sold and four years of constant development we are a competent supplier of sound technology for improved driving experience and safety in ICE as well as electric vehicles.